Fig. 1 The Halton Sanitarium. Watch the clip below to hear Harriet Burns Stieff discuss Sarasota’s notoriety for being a health resort. Thus, though Sarasota was not immune from the epidemic, this reference to a singularly serious case in the town reveals that the area was, in comparison to many other parts of the world, largely spared. Fig. 1. 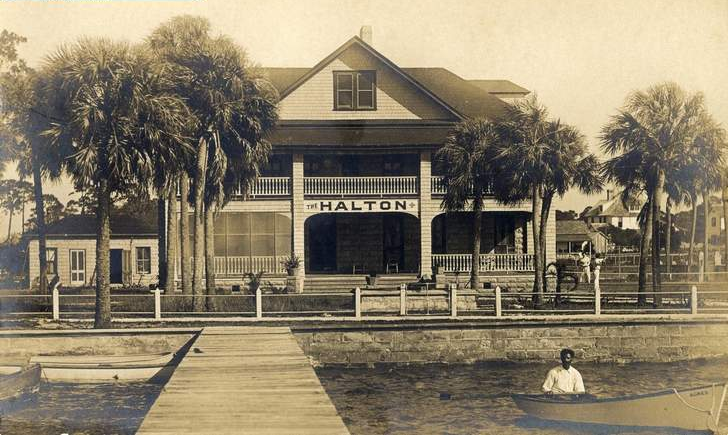 “The Halton Sanitarium,” photograph, courtesy of Sarasota County Historical Resources, Sarasota, Florida. Jeff LaHurd, “Early Sarasota had just the tonic for what ailed you,” Sarasota-Herald Tribune, January 11, 2015, www.heraldtribune.com/article/20150111/ARTICLE/150119974?p=1&tc=pg (accessed March 5, 2015). Harriet Burns Stieff, interview by Joy Feagan and Kana Hummel, Sarasota, Florida, February 7, 2015. “The Deadly Virus: The Influenza Epidemic of 1918,” National Archives and Records Administration, www.archives.gov/exhibits/influenza-epidemic/ (accessed March 17, 2015). “Florida,” The Great Pandemic: The United States in 1918-1919, United States Department of Health and Human Services, www.flu.gov/pandemic/history/1918/your_state/southeast/florida/index.html (accessed March 16, 2015). Mark D. Smith, “The Great Influenza Epidemic of 1918,” Sarasota History Alive, www.sarasotahistoryalive.com/stories/journals-of-yesteryear/the-great-influenza-epidemic-of-1918/?back=Stories (accessed March 16, 2015).